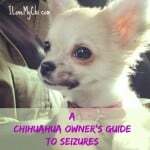 It’s probably one of the worst situations that a dog owner could face; your Chihuahua gets seriously sick, or maybe they’ve fallen down the stairs and really hurt themselves…but you just don’t have the money to pay for vet care right now. It’s a heartbreaking yet common situation for many dog owners. 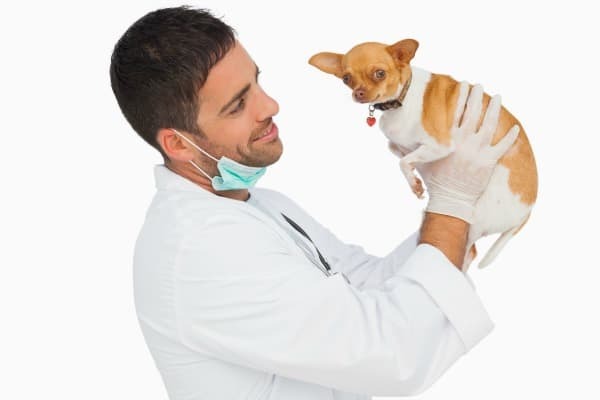 Veterinarians also struggle when faced with an owner’s limited finances, since they would much rather focus on doing everything they can to help your Chi feel better. I have to tell you, this is one of the most common issues I hear from readers and I have personally faced it myself. So what can you do when the money just isn’t there for vet bills? 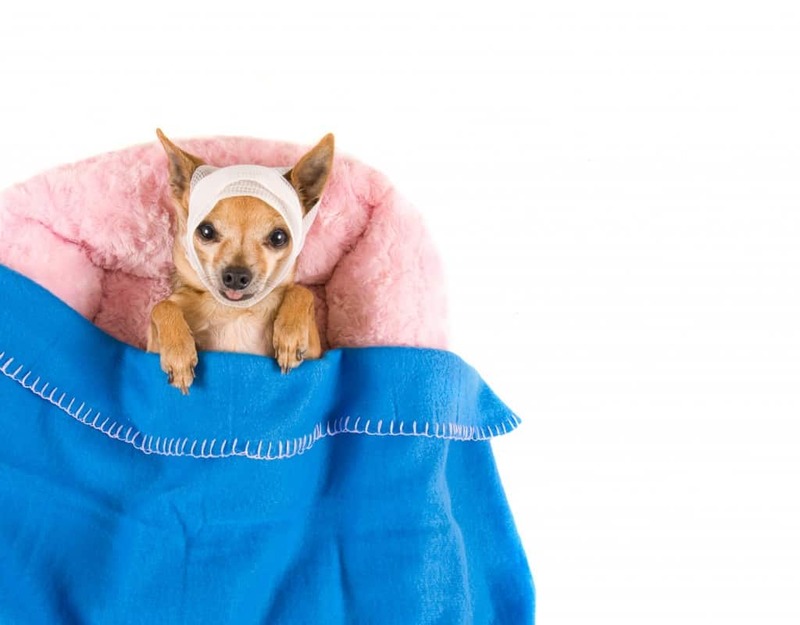 Although it might be okay to wait a day or two to see the vet for some health concerns, when your Chi has an emergency, taking them for immediate veterinary care can sometimes mean the difference between life and death. Here are a few things that you can do to help your pup in those tough situations. It’s far easier for the staff at your dog’s vet clinic to work with you on finances if they know your limitations up front. Find out what tests or treatments are recommended for your dog’s well-being – what care is absolutely needed right now? Is it safe to take a ‘wait-and-see’ approach with your pup, for instance? What care can you provide at home? Ask for an estimate before agreeing to treatment, and be calm, clear and direct about how much you can afford to pay. Although it can be difficult or even embarrassing to talk about money limits with them, your veterinarian will actually appreciate knowing that information ahead of time, and most will do everything they can to help your pup. 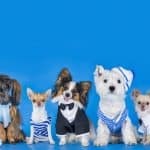 If you have the option to use a credit card or line of credit, then this might be another option for dog lovers without ready funds. Many veterinarians also work with CareCredit (you can find them at http://www.carecredit.com/ ), a company that extends credit to dog owners who need emergency care for their pets, either through a direct line of credit or with access to a card that can be used at the clinic itself. Although it’s not usually an option when your Chihuahua needs help right away, calling different veterinary clinics to compare costs may help you out in a pinch, since another clinic may offer lower fees or a payment option that suits your needs better; one might allow you to put a deposit down and pay the remainder over a few weeks, while another only accepts full payment each time you visit with your pint-sized pal, for example. Keep in mind that taking your dog to another vet simply because they’re cheaper may mean that the quality of care will be different than with your regular veterinarian, and often means that you’re paying an additional examination fee too. Since our dogs rely entirely on us for care and support, sometimes we ourselves might need to lean on those who love us. Asking family or friends for a one time loan (particularly if you arrange a consistent way to repay them) might be an uncomfortable but effective way to gather funds. It can be really hard to predict when your dog might need treatment for an illness or injury, but it’s guaranteed that they will need to see the vet at some point, even if it’s just for routine wellness care like vaccinations or parasite control. 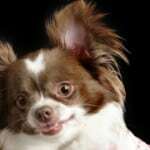 Some veterinarians will accept payments in advance (which can be done on whatever schedule you prefer) to put into a ‘rainy day’ fund on your Chihuahua’s file. For owners who find it difficult to save up themselves or pay a large vet bill, having some credit already set aside for their dog can really help offset costs. Although animal shelters and humane societies usually won’t provide specialist treatment or critical care hospitalization in the case of an emergency, many offer extremely discounted costs on services like vaccination, microchip registration and spay/neuter for your canine companion. I know here in my area, our local SPCA offers Vet services at a sliding scale fee depending on what your income is. 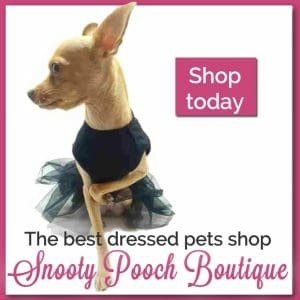 There is also a low cost clinic that operates on the weekends at a local pet supply store for vaccinations and general check-ups here in Virginia Beach. Check around and see if your area has something like that too. I found the one in my area simply by googling low cost veterinary care Virginia Beach. 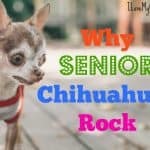 Making sure that your Chihuahua receives basic preventive health care (like regular examination, vaccination, parasite control and dental care) is ultimately the smartest way to save on vet bills in the first place. 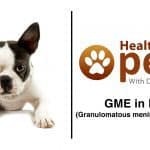 ‘Package plans’ for health care are being offered by more and more veterinarians these days to assist their clients with managing their vet bills, and it’s easy to see why they’re popular with many owners, too. Depending on the clinic, you might be able to choose options that allow you pay in smaller increments over time (instead of having one massive invoice) for a plan that may cover things like unlimited exams for a year, dental visits, weight checks, vaccines, heartworm prevention, and other routine health care, which can make vet care much more accessible for some dog lovers. Some clinics even include accident and illness care in their wellness plans; a kind of in-house pet insurance! Although it may seem like a waste of money for those pets who don’t get sick very often, pet insurance can be one of the best ways to give you both a financial buffer against those sky-high costs, and peace of mind as well. Many a dog has been perfectly healthy for years, until the day that one chicken bone gets stuck, or they develop a serious illness that needs expensive medication every month. Just think about it -it’s far more manageable to budget for a monthly insurance premium than to pay a vet bill in the hundreds or thousands of dollars all at once, and most owners who make a point of enrolling their furry friends in a pet insurance program from an early age don’t regret their decision. An alternative to pet insurance are veterinary discount plans. Pet Assure is a good one with pet plans starting at $6.58/month. Click here to join risk-free. A caveat though. When I checked into getting it for my dogs, there was only one vet in my city that accepted Pet Assure. But it’s still worth a peek and see if your vet is listed because the benefits are quite good. There are some other places you can try. 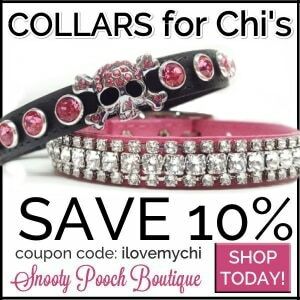 I’m just going to list them with their website and you can check them out to see if any might be a good idea for you and your Chi. 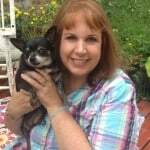 In the end, the financial squeeze isn’t fun for anyone – you, your Chihuahua, or your veterinarian – which is why it’s always optimal to have a financial backup plan – even if it means just putting away a few dollars a week. Not only will your best friend receive the help that’s best for them, but you’ll also be able to focus less on finances, and more on just being there for your dog when they need you. Isn’t that what your Chi would want anyways? 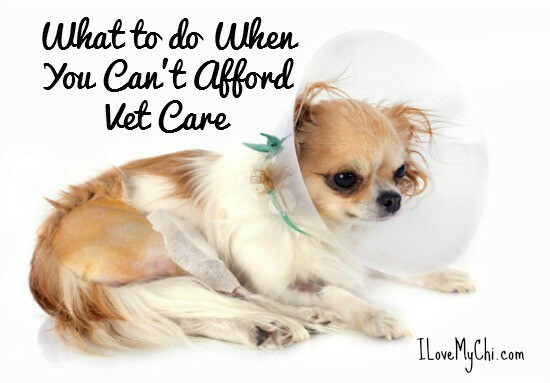 Are there any other ways to save on veterinary care that you know about that I have missed? Or have you ever had this problem, and how did you deal with it? Leave a comment and let us know. UPDATE: The Doggington Post has a very good resource page that has resources that can help listed by the resource and by state. You can see it here. 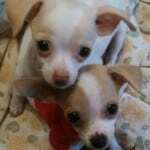 Should you Spay or Neuter your Chihuahua? I would agree good communication with your vet can be very beneficial to your pet’s health. 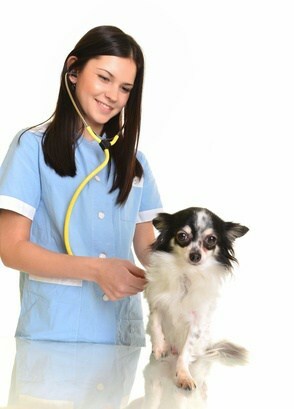 I am glad that you provided a list of helpful things to consider when get a vet for pets. It is smart to always take your pet to the vet if it ever has an injury. Thank you for sharing the importance of regular visits with the veterinarian for your pet! You are very welcome Annie! It’s hard to see them but I what I can see of them, I can tell they are cute little fur babies Paul! I really like the idea of using pet insurance. I did not realize you can have pet insurance. I think that it is important to learn how to save money and keep your pet healthy. I would like the idea of pet insurance if it paid at the time of service. You still have to come up with the money for treatment and then get reimbursed later. To me, it’s not helpful. I would love to hear about people’s experiences with this. I wonder if you can do it with any age dog. It seems like there must be limits, but then if you’re having to pay for treatments and surgeries maybe the older dogs pay for themselves anyway. Very interesting! I would be torn, though, as we’ve been going to the same vet for almost ten years and I really like her (dogs are not so sure!). I feel like she’s supported us through so much, though, and I feel kinda loyal to her.